I declare that I am a single woman. I have no children living and none who has predeceased me. There it was in black and white. My life, and that of many other single women today, summed up in two sentences. This is the standard definition in a Last Will and Testament. It is a startlingly frank assessment of a life lived. A life of solitude, not necessarily by choice. No mention of another life intertwined – be it sibling, parent, or beloved pet. Instead, it is assumed at that point that there is no one else living to memorialize or commemorate the life. It is the reality of dying alone. 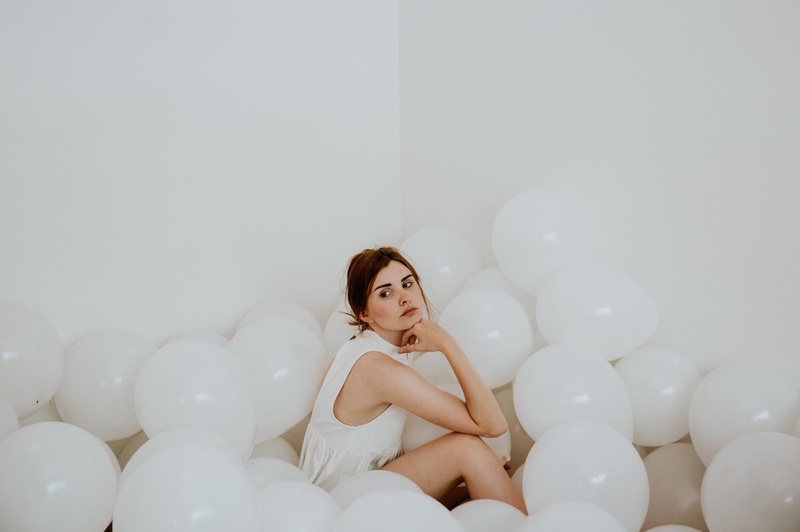 In a world where singleness is celebrated as liberation, and more and more women are independent later and later in life, do we even realize this is the ultimate (and very final) reality? Seeing the words made me think about how this happened and how many others were traveling the same path, mostly involuntarily. My 20s passed as most others – a focus on career, with a few dates thrown in (this was pre-online dating), and an occasional thought to the future. Marriage and children was always a goal, but one that would happen later – at the right time to the right person. There seemed to be plenty of time. The 20s turned to 30s and relationships got more serious. But the guy wasn’t ready for a deeper commitment, but also didn’t want to break up. For him, it was the best of both worlds. For me, I realized much later, it was a waste of precious time. It was a tough truth to face. Meanwhile friends were celebrating wedding anniversaries in exotic locales and having the first of several children. I wasn’t envious per se, but I admired the boxes being checked on the list of life and figured my time would come. Then before I knew it, the 30s were over and the 40s brought on a whole new reality. For one, dating gets harder. The competition is bright-eyed and 15 years younger, unaffected by the harsh lessons of life. And there is the issue of the biological clock – it stops ticking. I never did (and still don’t) know if I wanted children, but I also didn’t want that door closed. But it did and it was a shock. So, to burst the bubble, and despite the glamorous stories and images that abound today, the perception of being single is a myth. Being single is not getting drunk and hooking up. There is a need for a deeper connection to another person than just casual dating as you get older. And most likely that person isn’t online. And you probably aren’t going to meet that person on the street, in the grocery store, or at the gym – because everyone is too busy swiping left or right on Tinder. Being single isn’t having fabulously cheerful fancy dinners with like-minded, other successful women. That’s only in the movies, not life. Most nights, you’re too tired from work to think beyond a bowl of cereal and the latest reality TV show. Those fun dinners only occur on big life events, such as turning 40. Being single also isn’t having an unlimited bank account because you don’t have children to care for. That money goes to rent because you don’t have anyone else to split it with and you’re too old for a group house. It goes to taxes, because you don’t get credit for staying single, you get penalized. It goes to medical bills, which leap post-40 (where you actually pay someone $5,000 to torture you for hours at a time, i.e., a root canal). And it goes to saving for retirement so you don’t end up dependent on the state later in life. So, you might ask, why the dire, dramatic conclusions on being single? Once I hit my 40s, I had to take a hard look at end of life decisions – will I have enough money to pay for care after retirement in case of incapacitation; who will act as my power of attorney; and will anyone be there to care for me, or even remember me, possibly alone in a nursing home somewhere. That is the reality of being single in the starkest of terms. Being single isn’t necessarily a bad thing. I enjoy being single for the most part and answering only to myself. I have the independence to jet off anywhere in the world whenever I want (not that I do that all that frequently) and no one tells me how to spend the money I earn. But ultimately, would l like someone to share those adventures with? Yes. But in the meantime, I have to plan and be a responsible adult in case I don’t meet someone along the way. I didn’t pause in my 20s or 30s to really think through life and what I wanted from it. And even if I do die as a single woman and have no children living and none who has predeceased me, I hope that the plans I have made for the end of it will at least help others, even if I am alone.